It's ironic that I love watches a lot but at this very moment have all of them in rehab...that is asides my automatic Rolex watch which I only wear when I'm going out. Watches have always been about accurate timing. Right from school days and into my corporate life, I've always been punctual. For some reason, the thought of being late to anywhere irks me. I'd rather go through the rigors of getting somewhere early than to apologise for being late. Guess I can say my obsession with being punctual is tied to my love for watches then, lol. I'm not very fond of typical female watches unless they have mid-sized faces or are really unique (miss my Timex indiglo watch). When +Jord Watches contacted me, I was intrigued at the thought of a wood watch. At first I wondered how possible it was and then I visited the brand's website....then I fell in love. My absolute favourite of all the JORD watches are the Cora Series with the Maple & Lavender being my absolute favourite. 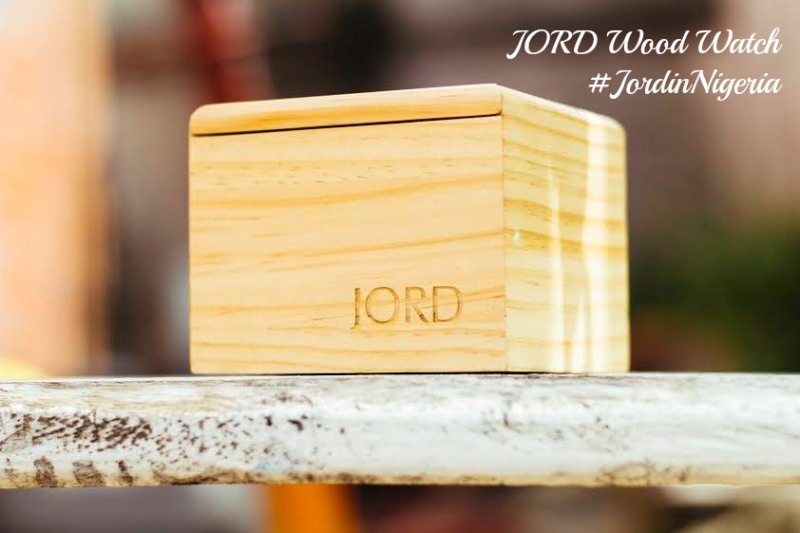 Having being created based on a desire for a watch that was as modern as the times we are in, JORD (which is Swedish for earth, soil, land) decided that creating timepieces out of wood which is an integral part of life and living was the way to go. Sustainability, efficiency, simplicity and experiential living were keywords in creating the brand. To show support for my love of androgynous fashion, I was sent the Fieldcrest watch in Natural Green. The Fieldcrest is all wood - from the face, to the strap links to the bezel. Designed to be a timeless piece, it can be worn with just about any outfit and suits all occasions. Natural Green does have a green ting to the wood but the actual face of the watch is intricately and exquisitely brown wood. In all the JORD reviews I read, the one thing that struck me was the packaging the watches came in. I said to myself "gosh, I can't wait to see that package in real life" and I did. I've other things planned for it for sure.